This is Part Seven of a series on Adoption called Everything I Want You to Know About Adoption. 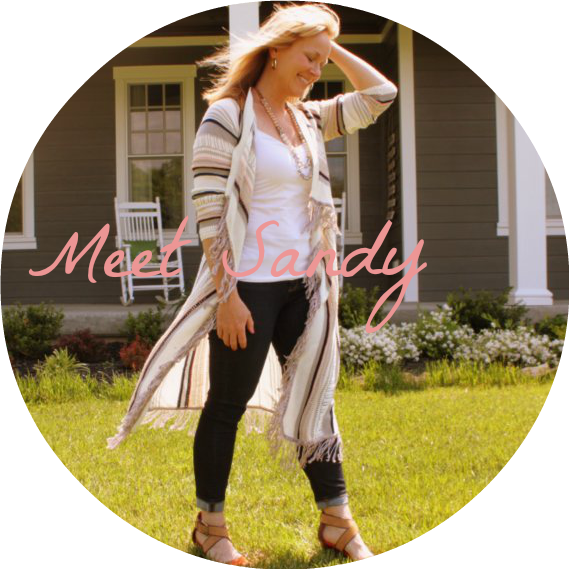 To see the links to each individual post in this series, click the “adoption” tab on the nav bar at the top of the blog, or click here. I am in the process of answering a series of Adoption FAQ’s. If you have a question about adoption, feel free to ask. I promise to answer it in this series. 1. Many couples want to exhaust all biological options before considering adoption. If your husband thinks you can have biological children, he may not see the purpose of adoption. 2. A lot of men fear they could never love an adopted child like their own. 3. Some may worry about integrating a child of another race or ethnic origin into their family. 4. Generally speaking, men are freaked out by the financial aspect of the adoption. I experienced this situation with my husband prior to our second adoption. Even though our first adoption went off without a hitch, Jon had totally bonded with Elijah, and God provided financially for Elijah’s adoption, only “about 1%” of Jon (his words) wanted to adopt another child. For one, Jon was happy with our “Cooper, Party of Four.” He wasn’t sure he wanted to add another child to the mix. Understandable. This wasn’t an adoption issue for him. It was just a family issue. Eventually, after many long conversations at the kitchen table and a whole lot of prayer on my end, Jon came around and we adopted for a second time. 1. 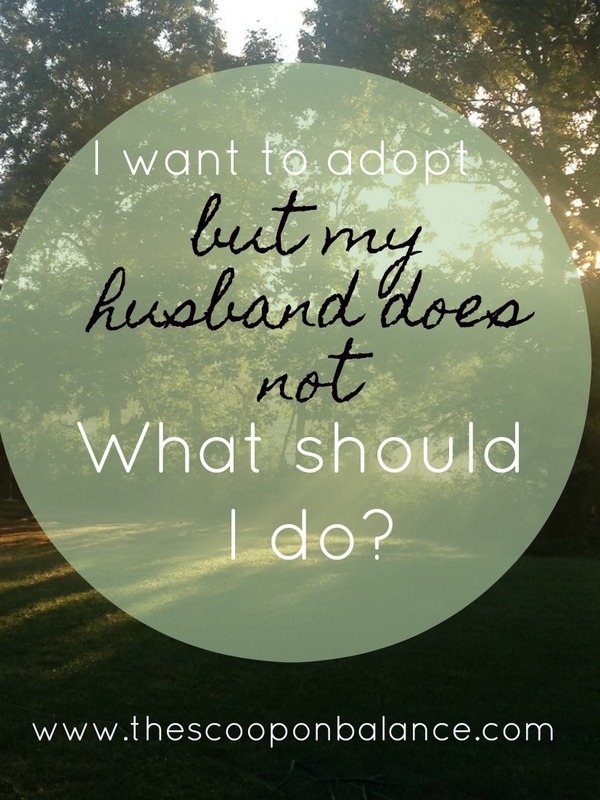 Find out why your husband does not want to adopt. Sit knee to knee, eyeball to eyeball, hand-in-hand and ask him. Listen to what he tells you without judging him or defending yourself. Just listen and affirm. You may be surprised at what he tells you. 2. Share your heart openly about why you want to adopt. If something moved you—a story of a child in need, for example—share that with your husband. Be honest, sincere and transparent. 3. Depending on the nature of his reservation, see if he might be open to talking to, reading about or listening to another adoptive father discuss how he overcame those same fears. Some men would rather chew aluminum foil than talk to another man about their feelings. But some will. Maybe your husband is one of them. Adoption seminars are a great place to start because they are impersonal, yet informative. If you know other adoptive couples, you could invite them out for coffee and ask them about their experience. (I, personally, am ALWAYS open to discuss adoption with you, especially if you buy me coffee.) Do a Google search and see if you can find some good blog stories (like this one!). Go to the bookstore and see if you can find some good books on the subject. 4. If finances are his concern, you may need to show him on paper how it can work within your budget. 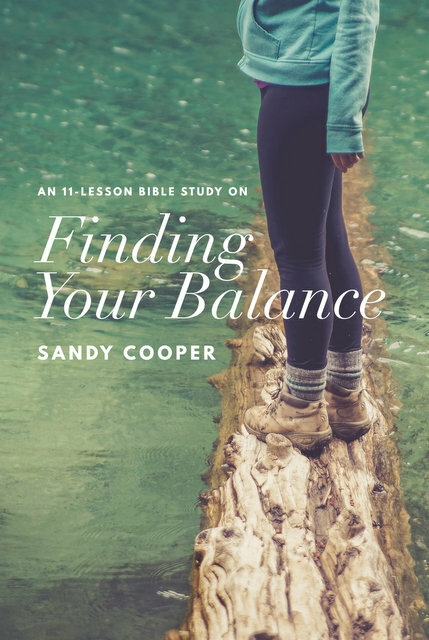 (I will talk about creative ways to finance your adoption in a later post) Of course, God may be asking you to walk by faith—you may not be able to show him on a spreadsheet how it will work. That’s okay. Remember, God wired your man to be concerned with providing for his family. Just ask God to show you how to speak to his concern, even if it means he should trust God for the provision. Q4U: Why else might a husband be reluctant to adopt? Do you have an adoption-related question for me? Ask, and I will answer it in this series! This hits me right at home. Interestingly, we are pretty far into your suggestions already. My wonderful husband was initially anti-adopting for the financial reasons you mentioned (mostly college) and because he was happy with our family size of four. He is thrilled to be past the hard work of diapers and sleepless nights and doesn't want that again, and he says he feels "too old" to have another child (he's 37!) But a movement has swept through our church to move families towards adopting and caring for orphans and anyone else in need. It started with our worship pastor and now 7 families are in process…plus we have formed a Life Group focused on adoption. My wonderful husband agreed to join the Life Group and I have seen his heart change in way only the Lord could have done…but so far he's still not sure about US adopting. He thinks our role may be just to continue supporting our friends who are adopting financially, prayerfully and any other way we can. I don't agree…but I'm not pushing. So far none of our friends have actually brought their kids home…I can't wait for that day. If you are open to the idea of an older or black/mixed-race child, foster to adoption might be the answer. If you adopt an older child, it eliminates the “I’m too old to do this again” argument. And depending on where you live it can be highly affordable. The actual adoption is generally low cost or free. And, in some states you can qualify for monthly payments, free healthcare and even in-state college tuition for “hard to place children.” In Florida, where we live, “hard to place” includes sibling sets, older children, black and mixed race children and disabled children. Good luck! I just wanted to let you know, I have been enjoying every second of this adoption series, and can't wait to learn more! I have a few more questions to add to your FAQ list. Did you have to pay for Elijah's birthmother's medical bills, and if so, what did those include ie: prenatal visits, hospital bills, etc.? Is that something that is already included in the adoption process and fees? Do you HAVE to pay for those medical expenses? Also, how does the actual "handoff" process at the hospital work? How old was Elliana when you got her? Being that she was "older", and perhaps already had a routine, was there more of an "adjustment" phase for her, to get used to new routines, people, etc.? How did that process go? Thank you so much for sharing. I'm eager to hear more! I am 42 and my husband is 49. We have 1 child who is 15 and she is wonderful. That being said, it is no secret we wanted more children and were unable. We tried several times to get pregnant with assistance of doctors but no success. We talked about adoption, but really we could not afford it. Then suddenly we were hit with this blessing from God. A friend of mine knew a young girl who was pregnant and she did not want the child. This young girl (18) contacted me and we talked and after several meetings, she agreed to allowing us to adopt her child (private adoption). After talking to the lawyer it seemed so easy…but then my husband said NO! I was shocked. He is a loving person and would love this child, but he says no because he thinks he is too old. This child is due in 4 weeks and is probably my last chance of raising another child. I have prayed, we contacted our minister for guidance, but no change in my husband's mind. I am about to go insane. My husband does not understand that I love this child already and cannot bear the thought of losing her…..PLEASE HELP US!!!!! I am praying right now. I will ask God to change your husband's heart. I will comment more after I pray…just wanted to let you know I you are not alone. My husband and I have 2 children. An adopted child and a biological 9 month old. A situation has come where it may happen that a baby who is a week old may need to be adopted. We are praying for the parents to get to keep the baby, but in the mean time we have been preparing out hearts just in case. Yesterday my husband noted he's just not sure now. And today he said the reason is he is afraid because our 9 month is so young he doesn't want to take away from her time and love. I am crushed. My children are my world and my 9 month old couldnt be loved any more because our love spills over for her and that wouldn't change. I am hurting because we have prayed for a situation like this to fall in our hands for years. Now that chance is here and he isn't on board. He was. Not anymore. I am devastated. We have a few weeks and maybe a few months before we need to be 100% but…I'm scared he will say no and I will resent him forever! I hear the desperation in your post…Your husband is just scared. It's natural and understandable. Here are some points you may want to gently discuss with him. First of all, coming from a family of seven children, my experience in life is that having large numbers of children close together is no indication that the children will feel loved or not loved. My husband also comes from a family of seven. He is a twin AND has a brother only 10 mos older than him. He is extremely close to his parents and his siblings. If we could not give more than one child at a time the love he/she needs, twins/triplets would all grow up dysfunctional. Know what I'm saying? God miraculously expands the heart of all parents to accommodate the number of children they are given. Sure, the children will not have as much one-on-one time, but family/sibling time does not have to be sacrificed at all. In fact, I think family/sibling time becomes richer the more children you have. Just my experience. Also, I wonder if he would still feel this way if you were pregnant with a child? It would be possible to have children 10 months apart biologically. I'm guessing if you were pregnant, he'd be a little freaked out, but he'd just go with it. Finally, there are numerous benefits to having your children close together in age. Your children will grow up being best buddies. They will entertain each other in the preschool years, which will make it MUCH easier on both of you. They will be out of diapers and bottles and car seats and all of that within months of each other. School activities will be more manageable if they are only a grade apart (or in the same grade!). I could go on and on. I will pray God softens his heart and that the two of you will be on the same page. I will also pray that you do not harbor resentment if things do not go the way we are praying they do. Your marriage is too important to risk it. Please let me know how things turn out. You can e-mail me privately if you wish. Hmm, so I feel sort of betrayed a little. My husband and I used to be hopeless in our passion for people. Now it just seems to be passion to make the bills. I am sad that my husband will not even consider adoption…something I had always thought we would do, and he agreed we would (7 years ago). Now with 2 healthy, well behaved children he "think children are too hard". My heart feels broken. Broken. I am disciple of the LORD Jesus Christ. My problem is that my wife is unwilling to adopt our foster baby. Whom we love. We adopted from Russia, our lovely daughter. She has some behaviour issues. Attachment disorder. My wife feels that our poor understanding of how to raise her (with her issues) has contributed to her tough times. Our foster baby, Kai, is wonderful. We've had him since he was 4 days old. He's 9 months. I am so interested in being his forever Dad. I love him so much. My wife must have some big feelings. I need her heart softened. I need God's help. I need prayer. Will you please pray for us? I am desparate. TPR could be right around the corner. There's nothing I wouldn't do for this baby boy. I'm like anonymouns of 12/30–my husband thinks children are too hard. We have 4 girls, sometimes rambunctious, all the time delightful. I look at the picture and just see it differently…and haven't had any luck in bringing our world views closer together–so DH says repeated and resounding "NOs" to my queries about adoption. I also feel broken-heared and at a total loss. I am 30 and have no children, and due to infertility on both our parts, my husband and I will likely never have children of our own. Adoption has been in my heart since I was able to watch a close friend give birth to her third child, a son. It finally occurred to me, and I think He was trying to tell me, that it is possible for me to love a child even if they were not biologically my own. At any rate, I've been through tests and have been poked and prodded for years, and adoption has been in my heart for quite some time. My husband keeps pushing it off for "another year" and refuses to talk constructively about it. I'm just not sure I want to live my life without ever having the privilege of becoming a mom. I grew up knowing I wanted to be a mom, so this is a really difficult dream to give up. I have faith that one day I will get to be a mother, but it's difficult to keep up that faith. Thanks for sharing this story, I really appreciate it. I have 2 children ages 20. recently married and a 15 yr old, both are girls. Adoption is something I have always wanted. I want a son and I am 39 yrs old and my husband is 42, and I know I have love to give to another child. My husband has flatly said, “No”. Its not financial, he doesn’t think he can love a child like he loves his daughters. My girls have even talked about it. I do not need a baby or toddler, I would be content giving a forever home and family to an adolescent. I don’t think my husband realizes how serious I am. I will have the face-to-face like you stated and I will pray on this matter. Please pray for my family. Thank you for sharing. I love these suggestions. My husband and I have 3 boys (13,12, and 7) we were high school sweeties and were married and having our babies by the time we were 20. We have had a stable marriage and home and are generally the picture perfect family. I have been moved to adopt a child (not a baby) around my youngest sons age maybe a couple of years younger and have spoken with my husband about it for the past year. I expected that he would be concerned with the finances behind it and the possible behavior issues of adopting an older child and that we would discuss it. I did not expect him to immediately shut me down on the issue and call it dead before I even got started. Of course he said it was all financial but he also said things like “the boys are hard enough” and “we are 1/2 way done with the parenting thing” Good grief what does he think is going to happen the boys will turn 18 and magically disappear? It is absolutely breaking my heart and making me look at him in a whole other light I feel like I had no idea he hated being a parent so bad and was counting the days until they were adult. Hmmmm. 2 ideas. #1. It may really all be financial. Many guys don’t like feeling like they aren’t good providers. They’d rather say they don’t enjoy something than they can’t afford it. #2. If it’s not about money, maybe you can look for ways to either make his role as a father more enjoyable (maybe one on one time w/sons in a fun setting), or get him around men who are proud papas and see if it rubs off. Hang in there. My daugher had a baby in Jan 2013 and both her and the baby came up dirty on meth. The state took all 3 kids from her. We took the two older kids (6 and 8) and we have became Foster parents to them for the last 9 months. My husband does not want to adopt them and now the state is telling us that we will have to place them in other Foster home. What can I do? I have been reading through these posts and find them comforting. Before my husband and I married we had talked about adoption. I was all for it, and he said he would think about it. I feel like maybe I should have tried to talk more in depth about it. But, I can’t change the past. We are thinking about having kids. I would love to have both biological kids and also adopt. However, now that we are discussing building our family in a very real way, I feel the mood has changed. He says he will think about it and then won’t bring it up again. I waited months and then tried to bring it up again, but he completely blew up. I think the most disturbing things is that I feel misled. Did he just say what he thought I wanted to hear? I at very least would like to address it seriously. I feel a little bullied and shut down. I don’t want to feel upset with him and am not sure how to handle this. I feel almost like the option was taken from me, and it is something I feel a strong pull towards in my heart. I am so sorry I am just now getting to this. I was on a blog break all summer and I’m catching up on old comments. Please forgive me. Sounds like timing will be everything in talking to your husband. You won’t get anywhere if he is not ready to discuss it. He may not even understand his strong aversion to the topic and that is why he is having such a hard time articulating it to you. Give him the benefit of the doubt. You are on the same team. Adopting a child is a HUGE decision and he did agree “to think about it.” I’m sure he has. He probably gets angry and shuts you down because he knows what you want him to say and he’s not ready to say it. He doesn’t want to disappoint you. I will pray God gives you perfect timing to discuss this with him and that God gives your husband the words to fully express his true feelings about this to you. I am a 45 year old male Australian male living in the UK. I had a business meeting at a local authority today where I experienced an utterly heartbreaking scene. Two little girls were being torn away from their mother as they howled, their cries piercing my heart as their mother, equally in tears, walked away from them as two ladies took the girls away. I have two gorgeous little boys, I am a married, wealthy professional. I have had the desire to adopt over the last 12 months, and have approached the idea with my wife previously. However today’s events has cemented the idea in my head, and I know with full certainty that I want to adopt (preferably siblings). My wife was kind of receptive previously, but not very keen on the idea. Any suggestions on how I might approach this topic with her again would be greatly appreciated. Thanks so much for your comment. That situation with the children you describe is, indeed, heartbreaking. Wow. I can’t imagine watching children being taken from their parents–but it happens every day. 1. Share your heart with her, eyeball to eyeball, hand in hand. Let her know the depth of your desire to give siblings a stable home. I think the most convincing and motivating thing for a wife is to see is something that truly moves her husband to tears. Show her your passion about this. 2. Ask her why she is “not very keen on the idea.” Does she already feel completely stretched (emotionally, with time, with affection or other resources) with the two children that you have? Is she afraid she won’t love an adopted child the same as her biological children? Is your house too small or school too expensive? Has she heard horror stories about the process or does she fear a failed adoption and what that might to do her heart? All of those are very valid concerns. So, affirm her concerns and then seek to find information that will put her specific fears to rest. In the end, you can’t move forward without your wife on board. I pray you become completely unified in your decision. Thank you for your reply. Your comments made me realise I am much more focused on my own feelings and concerns and that I should give more room to my wife to express her fears and anxieties. My wife tends to have to deal with the day to day stuff with the boys which as most mothers of boys would know is a challenge; two more children to the family must be a scary thought. To me giving love, family, hope and opportunity to two little kids is a positive. Your approach is exactly the one I will take. My husband and I are 42 and married 2 years ago. Neither one of us have had any children. I have approached this subject with my husband twice in the last couple years. He feels he is too old and why start now. I could use some ideas on how to reapproach and speak from my heart. I have not prayed to God to ask him for opening the door to adoption but I am going to. Please keep my hubby and I in your prayers. We have two beautiful biological daughters who we are so happy that God has given us and trusted us enough to be their parents. I am 30 and my hubby is 32. Our girls are 8 and 6. I have really been thinking a lot for the past 2 years now about fostering to adopt a little boy. I have spoken with my husband and he is against the whole idea. He feels that if we want another child that we should have our own biological child. We can provide a l I ving and stable hone for a child who is in need and it breaks my heart to think I may never get the chance. I have tried to express why I want to adopt so badly but he just doesn’t agree. He loves me and our girls so very dearly and would do anything for us. But it just seems as if thus is one thing he will not lighten up to. I am just going to keep praying that if it is the Lord’s will it will happen. I’m sorry you and your husband are not on the same page here. I know how frustrating that is. I will pray for you and him. Let me know when things change. Donna, I will pray for you right now. Thank you for leaving a comment and letting me know how I can pray. From a husband’s side of things. Me and my wife adopted our son through social services. My son is MY WORLD. I have never been such a demeaning, intrusive process in my life. I still shudder at the process, sometimes it enters my mind three years after the fact! We always wanted to adopt, but really fell into it, because it turn out I had infertility. Unfortunately, I have nothing positive to say about the adoption process. My son was exposed in utero, and so he is extremely hyper, and in the right situation, extremely defiant. We have done “all the right steps” and had him evaluated, ad infinitum … and we have support, but I will tell you one thing, it is EXHAUSTING. So … could some of you ladies please, possibly, consider that maybe your husbands isn’t against the idea of children, it is just that he is exhausted as well. I can totally understand the viewpoint of having just raised three kids, and now the wife wants to adopt, and the husband doesn’t. He is exhausted, in my opinion. My wife wants to adopt again, and I am on-board, but I am already dead tired, and I only have one! I am dreading, what I consider to be an emotionally abusive, invasive process to renew our home-study. It makes one feel like a criminal. The system really needs to re-think what they put potential adoptive parents through. I would not wish infertility on anyone, no even my worst enemy. I am struggling with this right now. My situation is a little bit unique in that we do not have children by birth yet, and I don’t really feel the need to have birth for a child to be considered mine. My husband wants our “own” children (as he calls it) and I don’t think that he feels like adopted children will feel like our own kids. If I’m being perfectly honest I’m afraid of giving birth. And at the same time, there are so many hurting children in this world without homes, and I can only imagine how amazing it would feel to invite one of them (or more) into our homes to stay. I just wish my husband could understand what a gift that would be. Maybe in time I would feel ready to birth a child, but I feel like my maternal needs would be completely satisfied by adopting a child. Bethany recently posted..Zaanse Schans – Windmills Galore! Why doesn’t he want to progress further? Is he scared? Did something bad happen? What made him change his mind? I can tell you are hurt, and rightfully so. But it’s really important that you understand the reasons behind his change of mind. If I were in your shoes, I would talk with him about how you feel. I would try to understand where he is coming from. I would try to address each of his concerns or find someone who can address them. And I’d pray a lot. That’s a tough one, Lynn. Because, if you start the adoption process now, by the time you got another infant, you could be close to 50 years old. That is a viable concern, as you would be in your 70s when your youngest in in college. Perhaps he’d consider adopting an older child? Younger than 4?